A Bostonian by birth, a lifelong summer Cape Codder by affinity, and a Baltimorean by chosen profession, Dr. Taussig really belongs to the world because of the great benefits its children have derived from her many contributions in heart disease and congenital malformations. She was born into an intellectual, scholarly family for her father was an eminent economist and chairman of the department at Harvard. That made no difference though when Helen graduated from college and sought entry to Harvard Medical School. The admissions committee was adamant against admission of women, but fortunately Johns Hopkins School of Medicine was not. After she earned her Hopkins M. D., she became interested in cardiology while working in the electrocardiography laboratory and doing dissections of hearts to understand the alignment of the muscle layers of the ventricles and the effect on the myocardial performance. In children the major cardiac problem then was rheumatic fever and rheumatic heart disease. They filled the pediatric wards of hospitals and they spent months in convalescent homes. The relationship to Beta hemolytic Streptococcus had not yet been established, nor had the sulfonamides or penicillin been discovered. Aspirin relieved the fever and joint pains. Dr. Edwards A. Park Awas the wise chairman of Pediatrics at Hopkins and theZ friend and mentor of Dr. Taussig. He saw that acute and subacute needs of children with chronic illnesses were being met through hospitals and convalescent homes but that long-term care and followup after they were home was inadequate. So he established clinics in the outpatient department to take care of the special needs of children with problems such as cardiac, pulmonary and endocrine. He made Helen Taussig the chief of the cardiac clinic with the charge that she not only learn about rheumatic fever but also about congenital heart disease, a little understood condition. He placed a fluoroscope at her disposal and encouraged her to use it. Thus he set the stage for the succession of dramatic events that occurred in the field of heart disease in infants and children. 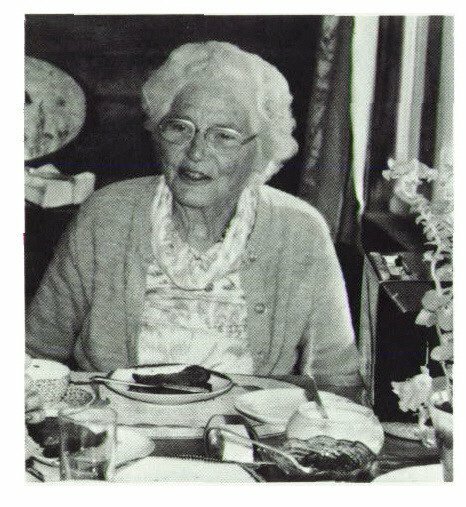 Dr. Maude Abbott in Montreal had collected specimens of congenital heart disease and as much clinical information as she could. She classified the anomalies according to presence or absence of cyanosis and the possibility for development of cyanosis (cyanose tardive). She published her classic Alias of Congenital CardiacDisease' in 1936 with 1,000 specimens catalogued. SoDr. Taussig visited Dr. Abbott to learn from her and to study specimens in the museum. Back at Hopkins she developed her great skills of observation and integration of information she gleaned from history, examination, three-lead electrocardiogram, and cardiac fluoroscopy and roentgenograms. In order to evaluate cardiac chamber size and the great arteries, she examined the children in frontal, lateral, and right- and left-anterior oblique projections with barium swallow outlining the aortic arch and left atrium. She paid particular attention to pulmonary vascularity, whether increased, average, or decreased, and to pulsations in pulmonary arteries and cardiac chambers. It soon became evident to her that certain patterns occurred and repeated and that she could make an accurate functional and anatomic diagnosis during Ufe. She has said that one of her most exciting early experiences was the revelation that she could recognize babies with tricuspid atresia, rudimentary right ventricle and pulmonary stenosis by the characteristic cardiac contour of underdeveloped right ventricle on radiography and left axis deviation on electrocardiogram. Since nothing could be done to help these unfortunate infants with severe forms of congenital heart disease, there were all too many opportunities to confirm the clinical diagnosis and further to increase diagnostic acumen. She began to prepare a book describing what she had learned. During the 10 years of preparation before her classic work. Congenital Malformations of the Heart and Great Vessels1 was published in 1947, events occurred that changed the lives of many thousands of children the world over with congenital heart disease. Her book became the Bible for doctors everywhere as they tried to learn about the field and to treat these patients. These events were both diagnostic and therapeutic. The techniques of cardiac catheterization and angiocardiography were developed and found to be eminently suitable to the study of congenital heart disease. Joining in this work at Hopkins was Dr. Richard Bing, while in New York Drs. Israel Steinberg, Janet Baldwin, Andre Cournand and Dickinson Richards, and in Boston Dr. Lewis Dexter were pioneers in developing this great new tool for diagnosis. Therapeutic advances during that same decade included both medical and surgical advances. Medical measures were the introduction of sulfonamides and penicillin, a great benefit to children with rheumatic fever because for the first time, streptococcal sore throat could be treated and rheumatic fever prevented. Forthose who already had experienced an attack, recurrences could be prevented by daily prophylaxis to minimize the risk of another Strep throat. For the first time for children with any form of organic heart disease, it was possible to treat subacute bacterial endocarditis and even to prevent it, for it was known that dental extractions were a risk factor, with seeding of alpha Streptococci. Largedoses of penicillin for oral surgery became an effective preventative. But even more dramatic were the surgical contributions to treatment. In 1 939 Dr. Robert Gross in Boston tied off a patent ductus arteriosus in a child after the pediatrician, Dr. John Hubbard, had made the diagnosis. Dr. Taussig reasoned that if a surgeon could tie off a ductus, he should be able to construct one and this should help cyanotic patients with pulmonary stenosis or atresia and diminished pulmonary blood flow. That collaboration set the stage for two new fields, pediatric cardiology and cardiovascular surgery, with teamwork and with one diagnostic breakthrough followed by another surgical advance, leading to yet another diagnostic improvement in leapfrog fashion. They established training programs in each specialty and the people they trained went to other centers to develop similar programs. Dr. Taussig set another fine example in continuing education by holding a reunion every other year for former fellows to share their research and clinical experiences and to keep abreast of developments at Hopkins. She also started long term followup of her patients, and she continued throughout her career to report on the outcome, analyzing errors in diagnosis or loss of improvement as well as successes, thus sharing her vast experience so that other physicians and their patients could benefit thereby. She made yet another great contribution in the field of congenital malformations. A former fellow was visiting her and he told her of the epidemic in Germany of babies being born with foreshortened and deformed limbs like flippers. He said there was a suggestion that it might be related to a drug some of the mothers had taken as a sedative or for treatment of nausea. Dr. Taussig pondered this overnight and decided that she should go to Germany to see for herself and investigate this new drug, thalidomide. In every city, she saw and heard the same thing: many deformed babies with maternal ingestion of thalidomide early in pregnancy. When she returned home, she reported her findings to pediatric and obstetric societies and before Congress. It is thanks to her that our country was spared a thalidomide epidemic, for the drug was never released for use by the Food and Drug Administration, and the drug was taken off the market in Europe so that other cases were prevented. Dr. Taussig has had many gratifications from her career: the love of her patients and their parents, the devotion of her fellows and of the Hopkins' students and the physicians over the world whom she has taught, and many honors from the world of medicine. Among her awards are honorary degrees, including one from Harvard, and also Hopkins' highest award; the Passano and Lasker awards; and our country's highest honor, the Medal of Freedom. She continues to write and to be much appreciated as a speaker at symposia and as lecturer. She is our great and gracious First Lady of Medicine. 1. Abbott ME: Atlas of Congenital Cardiac Disease. New York: The American Heart Association. 1936. p 62. 2. Taussig HB: Congenital Malformations of the Heart. New York: The Commonwealth Fund. 1947, p 618. 3. Gross RE. Hubbard JP: Surgical ligation of a patent ductus arteriosus. Report of first successful case. JAMA 1 12:729-731. 1939. 4. Blalock A, Taussig HB: The surgical treatment of malformations of the heart in which there is pulmonary stenosis of pulmonary atresia. JA MA 128:189-202, 1945.